The consulting industry has been on a roller–coaster ride since the heady days of the 1990s. After a recession triggered by the dotcom crash, it s now growing rapidly again but in a market that has changed beyond all recognition. Fees are down, buying is centralized and many clients are ex–consultants who know all the tricks of the trade. It s a hostile environment in which great personal qualities are no longer enough consultants need trusted firms behind them, helping them deliver results. This unique journey through the new consulting terrain looks at how leading consulting firms worldwide create a platform for success: what values they need; who they recruit and what recruitment processes work best; how they keep their finger on the pulse of the market; how they match the right people to particular jobs. "This book is essential for both client and consultant to understand the pitfalls to avoid and the conditions neccessary for successin todays complex, multi faceted project environment." 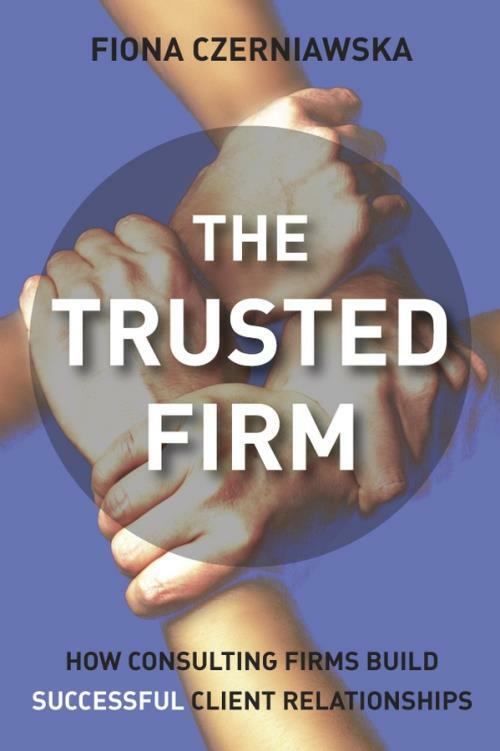 "The Trusted Firm presents a compelling blueprint for the consulting firm of the future. From concepts to tactics, this book shows firm leaders why and how to rethink their businesses to earn client trust­the ultimate market differentiator." "Fiona, astute observer, commentator of the management field, provides insight and clarity to the chaos of rapid changes in our clients′ evolving demands and how our firms can most effectively respond to them. A must–read for understanding data on contemporary client demands; a valuable contribution to our field. Czerniawska explicates the dynamics of the three–pronged relationship between the client, the consultant and the firm. She explains why each aspect of this tri–partite relationship is equally significant in the successful engagement." 1 The changing client consultant relationship. 2 Promises, promises: excellent relationships from a client perspective. 4 The trouble with the status quo. 5 The client consultant consulting firm relationship. 6 Personal chemistry and relationship skills. 7 Recruitment, retention and remuneration. Part III PROCESS (1): MARKETING AND SELLING. 8 Brand versus specialization: the race to the top? 9 Handling the sales process. 10 Thought leadership: as much culture as intellect. Part IV PROCESS (2): DELIVERY. 12 Three types of teamwork. 13 When is a methodology not a methodology? 14 Innovation beyond the borrowed watch? 15 The two–way mirror: listening and talking to clients. 18 Living the values, valuing the lives.